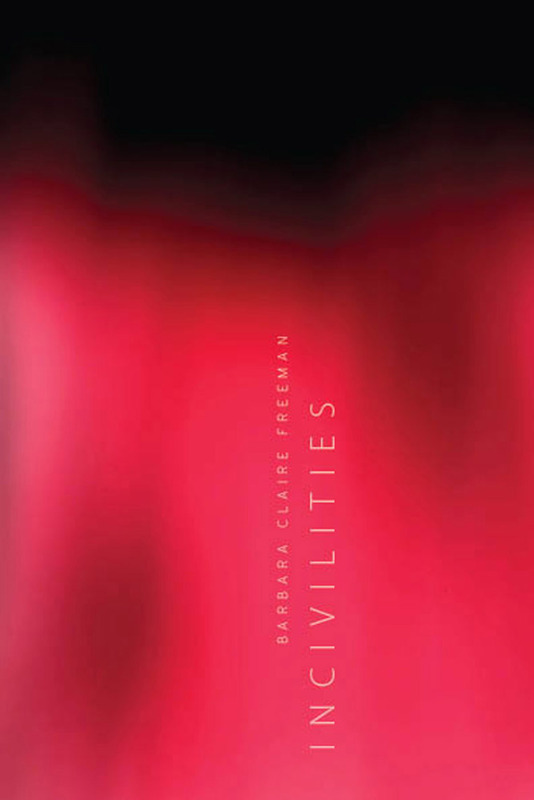 In her first collection, Barbara Claire Freeman links lyric subjectivity to an exploration of crucial moments in U.S. history. There are meditations on the Declaration of Independence, institution of slavery, Gold Rush, Lewis and Clark Expedition, Civil War, Great Depression, terrorist attacks of 9/11, as well as on our contemporary economic and cultural lives. These formally inventive poems braid the personal and the political. They offer no compromise, no synthesis, but they do offer hope as they invite critical reflection of “authorized history” and trace the efforts of historical subjects to make and remake their lives. Incivilities is committed to the past and to the present, envisioning a poetry that might function both as a ritualistic act of imagining and as a talisman against forgetting. Barbara Claire Freeman is a literary critic and professor of literature who has recently turned her full attention to writing poetry. She is the author of The Feminine Sublime: Gender and Excess in Women’s Fiction (University of California Press), among other works of criticism. Formerly an Associate Professor of English at Harvard, she teaches creative writing in the Rhetoric Department at the University of California at Berkeley. Her poems have appeared in many literary journals, including Beloit Poetry Journal, Boston Review, Colorado Review, CrazyHorse, Denver Quarterly, Harvard Review, Laurel Review, and New American Writing. She is the recipient of the Boston Review/Discovery Prize (2008), the Language Exchange Poetry Prize (Sarah Lawrence College, 2007), and a Pushcart Prize nominee. She is a native San Franciscan and lives in Berkeley, California.